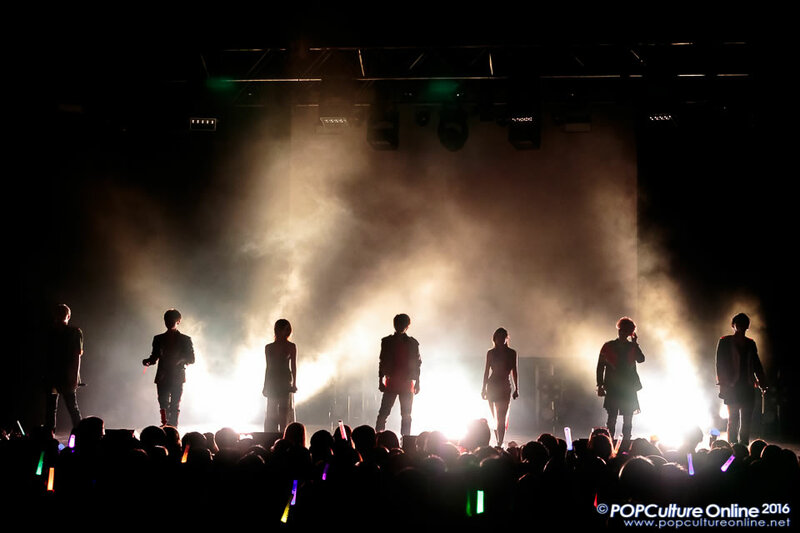 7-member Japanese pop group AAA (or Attack All Around) returned to party the night away at the *SCAPE The Ground Theatre on a cool Saturday Night. This marks the second time the group performed a concert here after their first one last year and they sure didn’t disappoint all those present. Opening with “I’ll be there” from their recent AAA 10th ANNIVERSARY BEST album before hitting the high tempo with “PARTY IT UP” also from the same album, there was no doubt that Takahiro Nishijima, Misako Uno, Naoya Urata, Mitsuhiro Hidaka, Shinjiro Atae, Shuta Sueyoshi and Chiaki Ito were here to entertain every present at the concert. 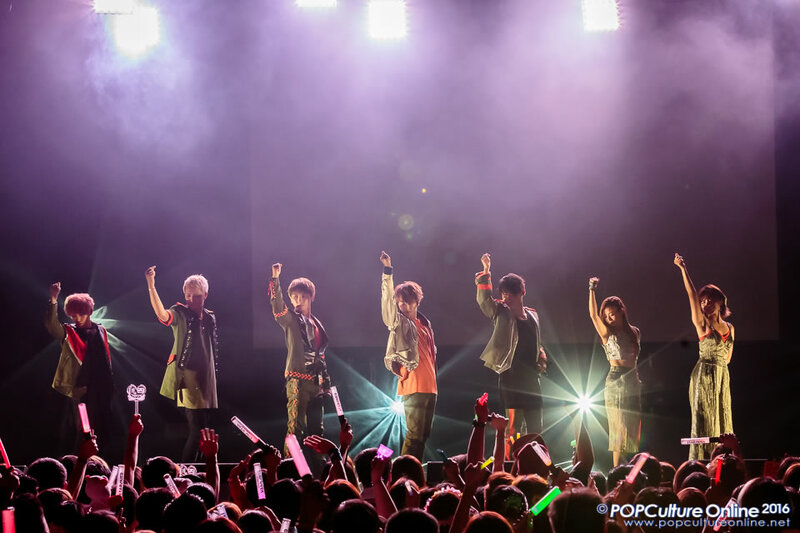 Anime fans also were in for a treat as the group performed “Wake up!” the opening for the highly popular anime One Piece. It always amazes me (since attending their first concert last year) that for a group so big, their coordination on stage as a group is tight yet each member shone their personality individually and this year was no different. The audience were also very appreciatively of the group as a whole and it was no surprise no matter which member’s turn for the solo portion, the appreciation was always there. Maybe its the sincere effort that the members of AAA put in during the MC portions of the concert and even talking about current things such as Pokemon Go, Pikachus and Dragonites. Even the individually signed balls that are thrown into the crowd probably helped to bring the band closer to their fans, including those from around the region present at the concert. Even though the *SCAPE The Ground Theatre was no where near the usual huge venues performances with elaborate props, it didn’t felt like anything was held back and AAA gave their all from start to end. In fact this could actually be a good thing as compared to bigger venues like Budokan as here you get to be really close to the stage and interactions from the group members are more intimate. Of course while the *SCAPE The Ground Theatre acoustics are never going to be on par with say a proper open air concert, it instead gave the “Live” feel which fits the songs performed. Overall it was a highly entertaining concert by AAA and if anything they sure “PARTY IT UP” the night. For those still suffering from post concert syndrome, do check out the Concert Playlist on Spotify and photos from the concert over at POPCulture Online’s Facebook Page.